In a display of just how corruptive big money has gotten to be in modern medicine, Big Pharma keeps getting dubious doctors to write so-called off-label prescriptions for powerful anti-psychotic medications — no matter their proven harm to patients nor big settlements drug makers have been forced to pay. The Washington Post deserves credit for its investigative dissection of AstraZeneca and its “blockbuster” product, Seroquel (generic name quetiapine). It’s a medication developed to treat severe cases of schizophrenia. A Washington Post analysis of more than four years of the most recent data from the FDA’s Adverse Event Reporting System — through the first quarter of 2017 — found about 20,000 cases where Seroquel or its generic equivalent, quetiapine, was listed as the primary or secondary suspect in an adverse event. That included 1,754 deaths in which they were the primary suspect plus 2,309 deaths in which they were a secondary suspect. Overall, 93 percent were apparently the result of off-label prescribing of the drug. Experts quoted by the paper ask the tough question: Why, for sake of a better night’s sleep, have AstraZeneca and prescribing doctors put patients in harm’s way, including to die? The likely answer: money, tons of it. The drug maker, the Washington Post reported, has been hit with more than $1 billion in settlements over Seroquel, including a class-action lawsuit with a $250-million judgement to diabetics harmed by the drug and blaming AstraZeneca’s wrongful advertising and payments to doctors. That may have been just a “cost of doing business” for the company, however. AstraZeneca said in its annual reports that it raked in $3.6 billion in Seroquel sales from the period 2014 to 2016 alone. The FDA has been constrained in curbing Big Pharma from pushing off-label prescribing of drugs like Seroquel because courts, notably the U.S. Supreme Court, not only has taken an expansive view of Americans’ First Amendment rights but also how these could be expanded to big corporations. AstraZeneca’s hawking off-label use of Seroquel has been deemed part of its accepted corporate free speech. The FDA, under its new GOP commissioner Scott Gottlieb, hasn’t clarified its position on this matter. Big Pharma, meantime, pours tens of millions of dollars into advertising, marketing, and sales of off-label use of its drugs, with much of these sums going to doctors for samples, branded swag, free lunches and dinners, and “expert” consulting fees, including payments for pro-medication talks at boondoggle trips and conferences. 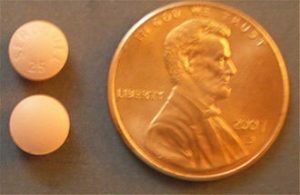 With Seroquel, critics quoted by the Washington Post noted, much of the off-label prescribing is done by doctors with little or no training in psychiatry, meaning that their familiarity with anti-psychotics likely is slim or nonexistent. This leaves them lead-footed in responding when Seroquel patients with insomnia, as the newspaper tells it, suddenly experience big weight gains and spikes in their blood pressure and blood sugar, as well as fatigue, memory loss, addiction to the drug, and movement disorders, including a compulsive lip licking. In my practice, I see not only the harms that patients suffer while seeking medical services but also the damage that can be inflicted on them by dangerous drugs, especially anti-psychotics. Children’s advocates have campaigned long and hard, with limited success, to curb unfathomable off-label prescribing of these potent meds, notably to tots as young as 2. Advocates for the elderly, meantime, are making some headway and are pushing hard still to bar indiscriminate, off-label prescribing of anti-psychotics in nursing homes. Despite concerted efforts to crack down on the drugs’ use, including by the federal Centers of Medicaid and Medicare Services, advocates have slammed home operators for effectively turning as many as 180,000 seniors — a number equivalent to the population of Newport News, Va., of Fort Lauderdale, Fla. — into zombies by dosing them with drugs like Abilify, Risperdal, Seroquel, and Zyprexa. The meds can make nursing home residents more “compliant,” meaning operators can scrimp on staffing. Big Pharma firms, including AstraZeneca, defend their products, and argue that they have been approved by the FDA after testing — though off-label uses undercut this contention, as many of the products underwent clinical trials in very different kinds of patients than now get the drugs. While it’s clear that lawsuits and the civil justice system are tackling abusive prescribing of anti-psychotics, how soon and how far will patient injuries need to go before lawmakers, regulators, and policy-makers decide enough is enough?